The Beyerdynamic DT 990 gives you a unique audio experience. These open headphones feature a pleasant sound and brilliant bass. You get three-dimensional sound; that is, it reproduces all of the details of the various instruments of an orchestra as a unity. A soft padded headband that provides little pressure ensures a highly comfortable fit, even when worn for hours, and the rugged construction ensures it is durable. In addition, both the headband and ear pads are replaceable. 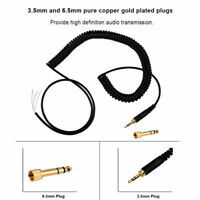 An advantage to this model is the extendable single-sided coiled cable. It also comes equipped with a gold vaporized stereo jack plug (3.5 mm), and an adapter provides enough freedom of movement. This is the first pair of real I have purchased. Have looked at several over the years but the price tag of $200 Plus has kept me from it. My son has a pair of these so I was able to test them before purchase. These headphones provide a very well balanced sound. The bass is not overbearing, the treble not tinny, and the mid-range is clear and strong. 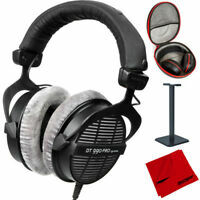 This makes this an excellent headphone for people who like to listen to a wide variety of music. I like rock, blues, jazz, classical, new age -- basically all over the musical map and I have tried these on all types of music and was very pleased with the experience. AMAZING! Best headphones I've ever worn for PERFECT sound reproduction! I have owned many headphones ranging from simple earbuds to high end studio headphones, but nothing compares to the sound reproduction of the DT990s. Lows and highs are crystal clear and the soundstage is incredible! These are my go to headphones when I want to experience blissful surround sound coming in its clearest form. 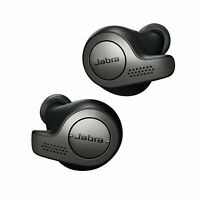 If you're looking for noise cancellation, these are not for you because they are open back by design and allow sound to move freely). If you want booming bass that rattles your head, these are not for you because they are designed for level sound reproduction (no overemphasis on the bass or treble). If you want to hear every note as it was recorded in the studio, these are the headphones for you. They deliver crisp treble and punchy bass with a slightly weak mid-range. These are some of the best headphones in their price range. despite reading so many reviews of how comfortable it is, my first time wearing it didn't feel as amazing as I was expecting. however, very quickly from the 2nd time onwards, it just starts to feel super comfortable. it might have been the way I wore it initially. And you can wear it for long period without feeling hot or tired. I get more impressed the more I use it. Guys this headset sound so good. I really recommend it. I love mine and got a great deal. the 250ohms needs something with a little power to make it work to its fullpotential; like an headphone amp. If you plug it to your phone, you will not be able to reach a decent loudness or maximum loudness of the headphones. Don't get me wrong it works on a phone but not loud because of the impedance. 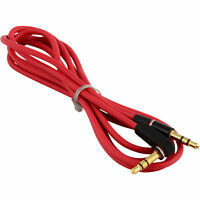 With an headphone amp or Audio interface, you will then appreciate the high quality sound of this unit. Very comfortable, well built and well design. A very beautiful and well balance sound.